Barkers Creek Reservoir received 10,000 golden perch last week, this was complimented with native fish stockings in Malmsbury, Coliban, Lauriston, and Tullaroop Reservoirs and Lake Bellfield across the region. It was only fitting that member for Bendigo West, Maree Edwards, would celebrate the inaugural stockings by adding another 5,000 golden perch into Barkers Creek Reservoir today. Barkers Creek Reservoir has historically been managed as trout fishery, so this native fish stocking is a new commitment implemented as a special treat for anglers. 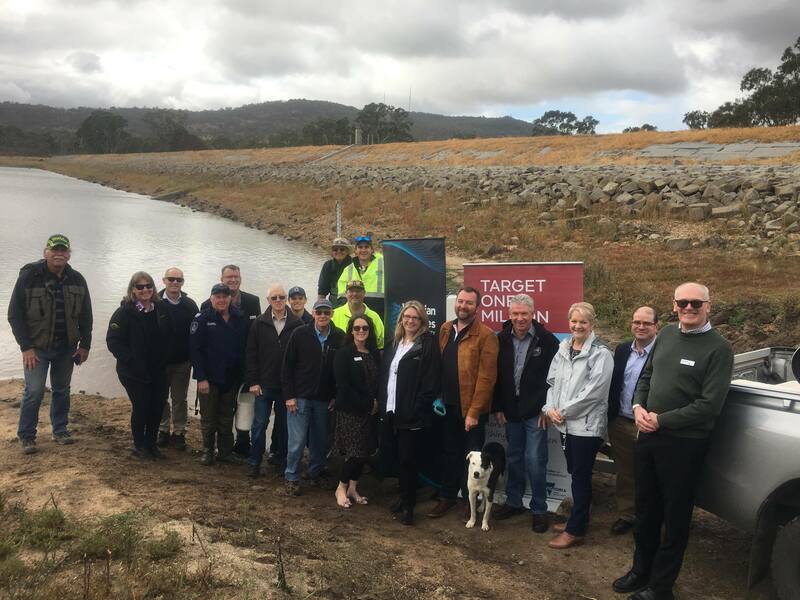 There are further plans to stock Barkers Creek Reservoir and several other waterways with more natives including silver perch, golden perch and Murray cod in the future. To top it off, brown trout stockings will also be increased this winter. The newly stocked fish will take a few years to reach catchable size, so anglers of all abilities can look forward to some phenomenal year round fishing in the near-future.